Invasive therapy, or non-invasive, medical treatment? “Stable angina” is the name doctors use to describe the symptoms of coronary artery disease (CAD) that are produced by a stable, non-ruptured plaque. Because the plaque is not changing (or is changing only gradually), the symptoms it produces (generally, chest discomfort) tend to occur in a relatively reproducible, predictable manner. This pattern is called stable angina. 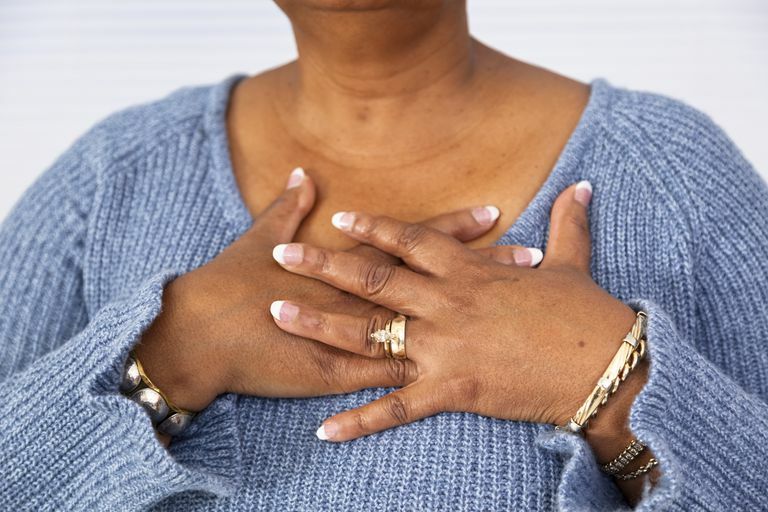 Read about the symptoms of angina. Read about unstable angina - the “other” kind of angina. To eliminate or greatly diminish symptoms of angina. To prevent the onset of more serious cardiac problems, including acute coronary syndrome (ACS), heart failure, and death. Whatever form of treatment is decided upon - invasive therapy or medical therapy - the treatment should optimize the chances of achieving all three of these goals. The invasive approach to stable angina is to relieve significant blockages in the coronary arteries with either bypass surgery, or angioplasty and stenting. While it may seem obvious to suppose that relieving the blockage ought to give the best results, decades of clinical studies have demonstrated that in most cases this is not what happens. Very often, medical treatment alone results in clinical outcomes that are as good or better than outcomes achieved with surgery or stenting. Most experts now recommend beginning with the non-invasive, medical approach in most people with stable angina. This “medical therapy first” approach reflects the new way of thinking about CAD. People who have blockages in particular coronary arteries, in which the outcome with medical therapy alone has been demonstrated to be worse than with invasive treatment. This latter category includes people who have blockades in the left main coronary artery, or who have three-vessel disease, or who have disease in the left anterior descending artery coupled with disease in at least one other coronary artery. Read about coronary artery anatomy. For the majority of people with stable angina, however, medical treatment is the preferred option. Beta blockers: Beta blockers reduce the effect of adrenaline on the heart muscle, which reduces the heart rate and the force of heart muscle contraction, thus reducing the oxygen demand of the heart. These drugs also improve survival in some patients with CAD. They should be used in anyone who has stable angina. Read about beta blockers in the treatment of angina. Calcium blockers: Calcium blockers reduce the influx of calcium into the heart muscle, also into the smooth muscle of blood vessels. This results in blood vessel dilation, lowers heart rate, and reduces the forcefulness of the heart beat -- all of which lower the oxygen demand of the heart. Read about calcium blockers in the treatment of angina. Nitrates: Nitrates cause dilation of blood vessels, which reduces stress on the heart muscle, thereby reducing the cardiac demand for oxygen. Read about nitrates in the treatment of angina. Ranexa (ranolazine): Ranexa is a new type of anti-angina drug that appears to work by blocking what is called the "late sodium channel" in heart cells which are suffering from ischemia. Blocking this sodium channel improves the metabolism in ischemic heart cells, reducing damage to the heart muscle, and also reducing angina symptoms. Read more about Ranexa in the treatment of angina. How are all these drugs used? Anyone who has stable angina should be placed on a beta blocker. Nitroglycerin (one of the nitrates) should be given to be used acutely when necessary treat any episodes of angina. If beta blockers alone are not eliminating angina, then either a long-acting form of nitrate therapy or a calcium channel blocker (or both) are generally added. Ranexa, still a relatively new drug, is usually given as a third or fourth drug when necessary -- but some cardiologists have found it to be useful when added earlier. Antiplatelet therapy: To reduce the risk of ACS, anyone with angina should be on treatment to reduce blood clotting. For most people this means daily aspirin therapy (75 to 325 mg/day). Plavix (clopidogrel) can be used in people who are allergic to aspirin. Risk Factor Modification: Reducing the progression of atherosclerosis is critical. This means controlling hypertension, not smoking, controlling weight, treatment with a statin, controlling diabetes, and exercise. Read about controlling your risk factors. Exercise therapy: In addition to reducing the progression of atherosclerosis, regular exercise can itself be an effective treatment for stable angina. Chronic, low-intensity aerobic exercise (for instance, walking or cycling) "trains" the cardiovascular system and the skeletal muscles to become more efficient. This means that higher levels of exercise can be achieved without triggering angina. People with stable angina should ask their doctor for a referral to a cardiac rehabilitation program to help them get on a program of regular, safe exercise. Chronic stress: The wrong kind of stress can be harmful to anyone with CAD, and a stress reduction program may be helpful. Read about stress and the heart. Smoking cessation: Smoking cessation was mentioned earlier, but this is so important it needs to be called out again. Continued smoking can be, and often is, catastrophic in a person with CAD. Smoking cessation is a must. Read about smoking and heart disease. Enhanced external counterpulsation (EECP): EECP is a unique treatment for stable angina that can be quite effective in some patients, but which most cardiologists studiously ignore. When aggressively and appropriately applied, this non-invasive approach to treating stable angina generally yields results that are at least equivalent, if not better, than results obtained with invasive therapy. However, whichever approach you decide upon, keep in mind that CAD is a chronic disease that tends to progress. You will need to work closely with your cardiologist to monitor and reassess your condition as time goes by, and make sure your therapy is being continuously updated and optimized.